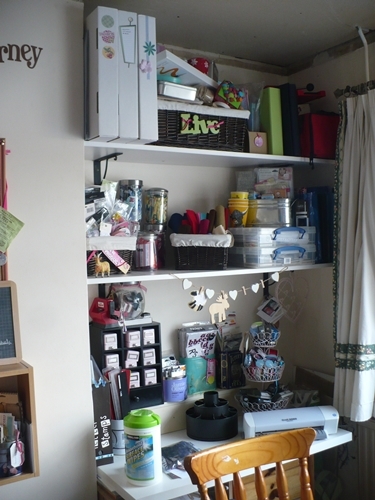 That new year organisation is in full swing in the scraproom. As you can see it’s a bit work in progress but here it is! 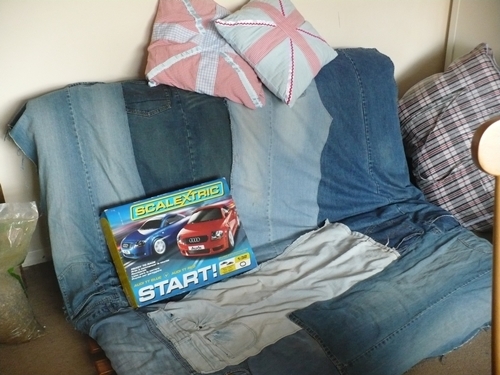 The denim you see here is the pile of garden cushions that have to live here because it’s winter. 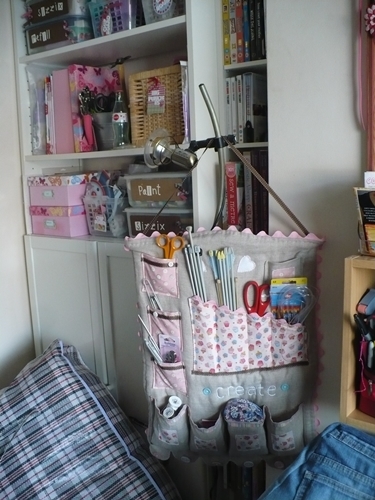 I’ll get the fabric side done soon (I don’t dare even show you that right now) and maybe take some whole room shots. Here’s the sofa and the bunting that didn’t need much tidying. 🙂 As you can see the throw is made of upcycled jeans like the garden cushions. 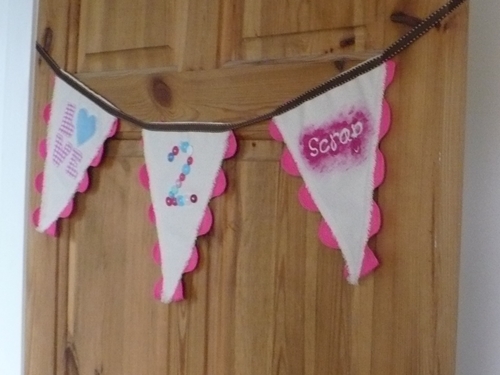 There’s a post about making the bunting here. 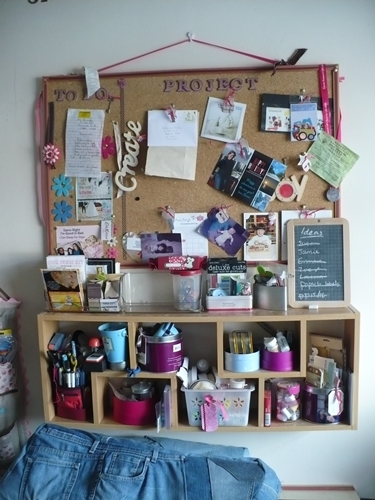 Oh, that is what I need to do in my craft room. I’m slowly getting to it, but it is hard with a 3-year-old around. Thank you for sharing at Sharing Saturday! Have a great week!